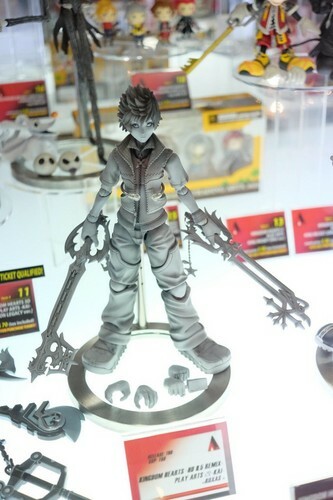 NEW Dual Wielding Roxas Play Arts Kai Figure!. Seen at the 2014 San Diego Comic Con!!!. HD Wallpaper and background images in the kingdom hearts club tagged: photo roxas kingdom hearts play arts figure play arts kai figure sdcc 2014. This kingdom hearts photo contains hoki es, hoki, permainan hoki, hoki es rink, ice hockey rink, and hoki es skating. There might also be tongkat hoki.